If your tree is dying as a result of an illness or if a storm has caused one on your property to fall over, you should have it removed. Tree removal will get rid of the fallen or damaged tree and help to clear any debris that was left behind. Before you decide to take care of the job yourself, you should consider contacting a tree removal service to ensure it’s done right. Safety: Removing a tree is no simple task and if done improperly, can result in painful injury or damage to nearby structures. When you hire a professional tree company, their staff has the tools and experience to complete the removal safely, without harming your property. 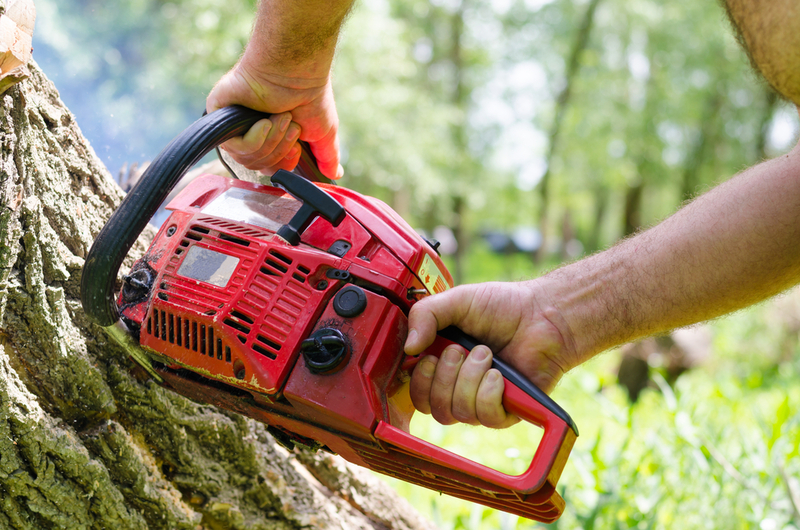 Efficiency: The service you hire will use their tools to break down branches and pieces of the trunk bit by bit. This allows them to remove the tree far more swiftly and efficiently than you would be able to on your own. Right the First Time: Attempting to remove your tree without the proper skill set may result in a shoddy removal. If not done correctly, you’ll need to hire a professional tree company to finish the job. Save yourself time and stress by hiring a service provider from the get-go. Stump Removal: Your service may offer to remove the stump along with your tree. Most homeowners prefer to have the stump removed so they can plant a new tree in its place. Protection for Other Trees on Your Property: While you’re having your damaged tree removed, you can request tree trimming or pruning services for others on your property. This ensures a longer life span of your plants as well as protection from the illness and structural dangers which affected the fallen tree. If you need tree removal services in the Bronx, call Owens Bros. Tree Service at (718) 885-0914. For information on their tree care services, visit them online to learn more.